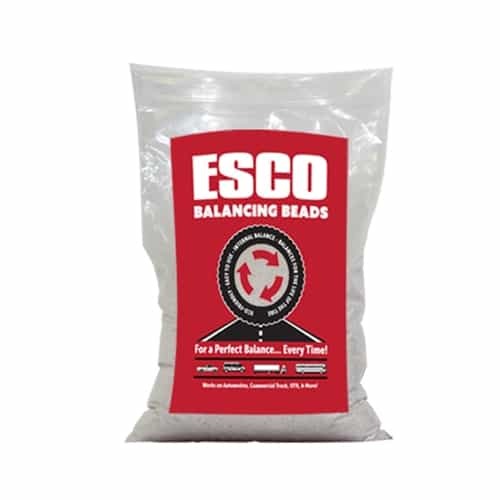 ESCO Balancing Beads consist of thousands of uniquely designed beads that will automatically adjust to the imbalance of the tire based on the principle of centrifugal force. The ESCO Balancing Beads naturally find the unbalanced side of the tire and gathers together to create a counter-weight that balances the tire regardless of changes in the tire weight due to normal conditions. When lead, steel, and other material wheel weights are applied to the rim, they’re placed in the position that is opposite of the imbalanced side of the tire. With ESCO Balancing Beads, this process is done internally just the same as wheel weights. The big difference is ESCO Balancing Beads balance the tire for the life of the tire and adapt as the outside rubber of the tire wears down with time. 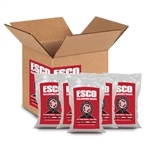 Installation of ESCO Balancing Beads is as simple as opening the package and placing the inner bag into the broken down tire. ESCO Balancing Beads can also be injected through the valve stem. For better fuel economy, increase in tire life, and to eliminate “wheel vibration” ESCO recommends putting a bag of balancing compound in all wheel assemblies on the vehicle. 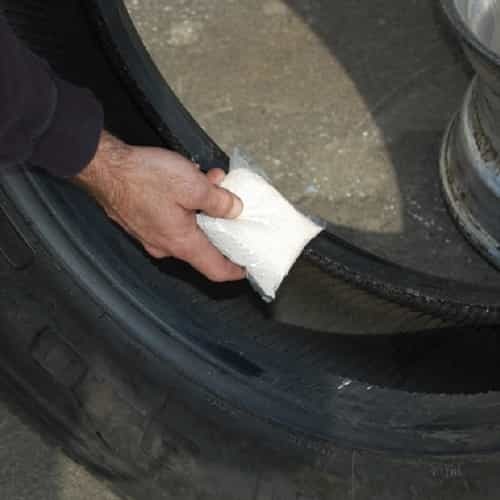 Beads disburse into the tire and internally balance the tire for the life of the tire using centrifugal force. Beads will not clump or block valve stem like other internal balancing mediums. 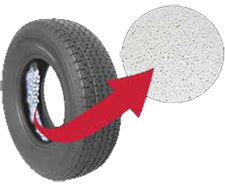 Beads will maintain same size and quantity inside of tire for life of tire.